Chaotic, captivating, cacophonic Kolkata (the former Calcutta, for alliteration fans) is the capital of West Bengal. It's also India's second city and arguably its most fascinating. With 350 years of outsider rule, Kolkata is rich in old colonial architecture -- a lasting, if now somewhat faded testament to its importance as the former capital of the British Raj. But it's also India's artistic and cultural capital, home to poets, writers and film folk, and a treasure trove of the subcontinent's vast and varied culture, epitomized by the ancient religious ceremonies enacted on its colorful riverside ghats (stone steps); its thriving markets, restaurants and Millennial culture; and its modern art galleries. Nowadays, Kolkata is becoming increasingly prominent in cruising circles. 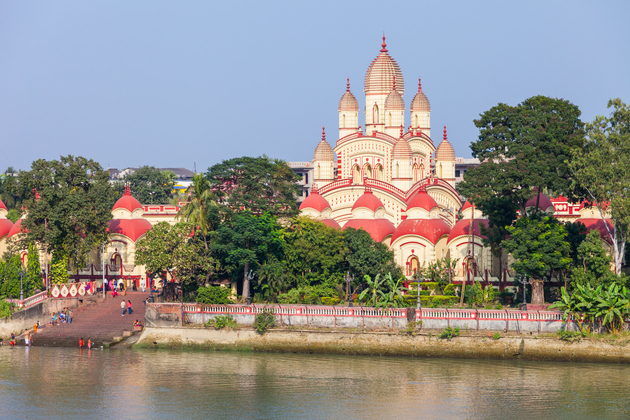 It's the international gateway to West Bengal, the beautiful tea country of Assam, and sailings take place along two of India's greatest rivers: the lower Ganges tributary of Hooghly and the Brahmaputra (which requires an extra flight). 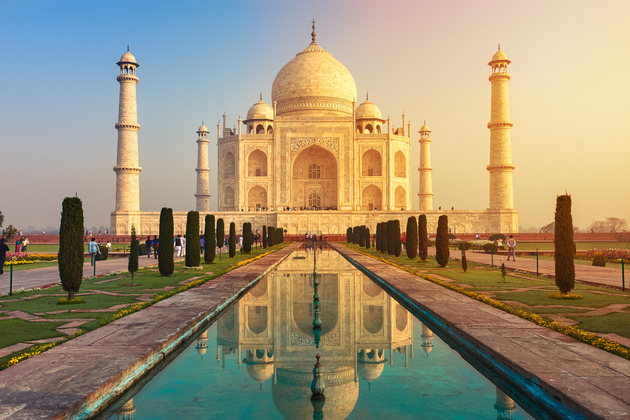 Many cruise tours begin with a trip to the Golden Triangle cities of Delhi, Agra and Jaipur first and then wing passengers to Kolkata, either for sightseeing or to board the ship. Whatever your itinerary, make sure a day or two in Kolkata forms part of it. The desperate poverty facing many of its inhabitants will shock you and arouse your social conscience but in this city of many faces, hopeful new towns are rising amid the squalor of the slums and you'll find some beautiful parks as well as splendid old colonial buildings. And the whole thing encapsulates the vivid, kaleidoscopic, unforgettable human experience that is modern India. 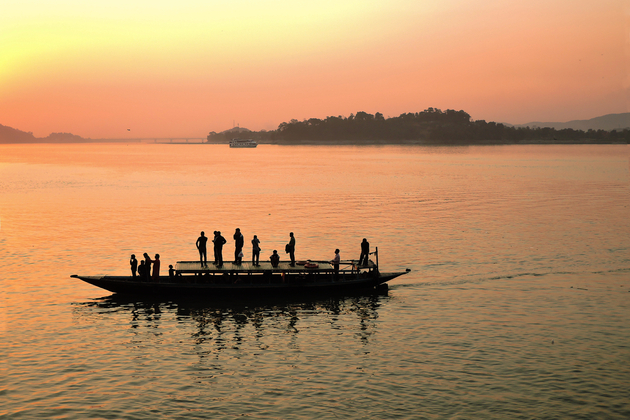 Embarkation for Ganges cruises is worth a day to explore. 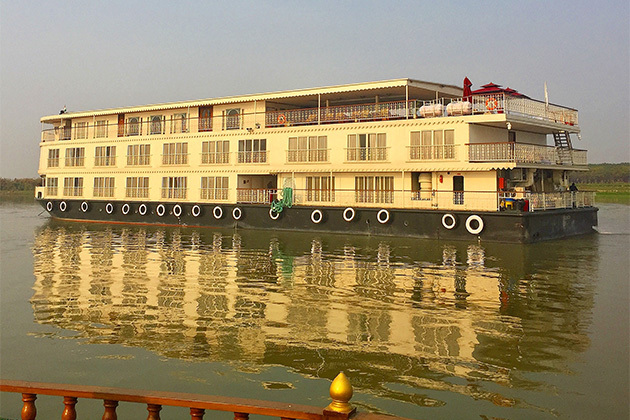 Kolkata is the international gateway for Brahmaputra River cruises, which depart from Guwahati or Jorhat (a 90- to 120-minute flight from Kolkata), so a day or two's hotel stay in the city would be a pre- or post-cruise option for travelers on these voyages. The part of the Ganges that flows through Kolkata is known as the Hooghly, and travelers who choose a Lower Ganges cruise will join their riverboats from riverside ghats (tiered areas along its banks, some of which offer mooring for boats, while others are used for religious ceremonies, bathing and washing). Ganges river cruises generally depart from moorings near Kolkata's Botanic Garden or the Maidan. This means Open Field and it's a vast city center park known as the "lungs" of Kolkata, where locals gather to watch football at various stadia, cricket at Eden Gardens or horse racing at Kolkata Race Course. The mooring spots will give you an inkling of what to expect on the rivers, particularly at the Botanic Garden dock, where you pass a shanty town on the way to the ship. The Maidan -- which stretches from the Hooghly River on the west to the Victoria Memorial (an impressive marble building now used as a museum) to the east -- is more central and contains some spectacular statues, buildings and monuments. The Botanical Garden (or to give it its full moniker, the Acharya Jagadish Chandra Bose Indian Botanic Garden) is a bit further out, near the Howrah Bridge. You'll likely spend little time here, as your tour directors will try to keep you from the chaos that's going on near the dock. That being said, the ghats here are a wonderful sight; you'll witness everything from morning bathing rituals to wedding preparations to funerals. Traffic: Kolkata's chaotic, noisy traffic is a sight to behold. The concept of "giving way" seems alien in India; when approaching a busy junction, it's a case of every man for himself, and whoever gains an inch of advantage over another vehicle wins the day. Drivers use their horns constantly but not aggressively -- just to signal their presence and their intention to overtake. But, because everyone seems to know the "rules," you soon get used to the elaborate "dance" of traffic that -- like most of life in India -- somehow manages to conjure order out of chaos. Appalling poverty: This is India, and some of the sights will -- and should -- leave you feeling very grateful for the life that you have. Locals wanting selfies: It's very sweet, but rather odd at first. Youngsters, in particular, find Westerners quite fascinating and will ask you to pose with them. Local vs. foreigner entrance fees: Visitors will pay more for local attractions and museums than locals do (not unreasonably, given very low rates of pay). If you're on a cruisetour, these will be included in your fare. There are many ways to get around Kolkata -- some of them hair-raising, and only for the very experienced and adventurous traveler. If you're on a Ganges river cruise, it's likely that you'll go directly to the dock from the airport by motor coach, so there's no need to get independent transportation. On Foot:You'll find pleasant open spaces near riverbank mooring spots, but the city streets are very busy with both people and traffic. By Rickshaw: Motorized rickshaws weave their way along certain fixed routes and gather hop-on passengers as they go, usually sharing with three others -- two in the back and one by the driver. Fares are low -- around 10 rupees (less than ?1), maximum -- but you'd need to know where you're going and be confident about speaking to the driver, so not recommended for newbies to India. Cycle-powered "tana rickshaws" also operate within certain areas, and you can negotiate a rate that you consider fair, while electric-powered "tuk tuks" are a more recent innovation on the city's roads and again, can be hired for a negotiated fee. To get an idea of auto-rickshaw fares before you travel -- which helps if haggling with drivers -- look at www.meterbabu.info. On the Water: Ferry services, which link Howrah with central Kolkata, depart every 15 to 20 minutes and cost only a few rupees, but they can be crowded at rush hour and they are pretty basic. Don't expect refinements like steps or a gangway to get onboard; you face a steep haul to get yourself on and a big jump off at the jetty. By Metro: Kolkata's Metro system is still a work in progress and gets hellishly crowded. Again, best avoided unless you're very confident and adventurous. By Cab: Yellow cabs are metered and charge around 25 rupees (less than ?1) for the first 2 kilometers and then 12 rupees (less than ?1) more per additional kilometer. Some cabs offer air-conditioning (look for white cabs with a blue stripe) and charge 25 percent on top of the metered fare but allow you to travel in relative comfort. You can generally flag cabs down when you need them, but may face stiff competition during rush hours. There are prepaid taxi booths at the airport and Howrah Rail Station. For an idea of up-to-date rates and fares over various distances, try www.autotaxifare.com. Uber cabs are also available and can be hired via phone app, but fares are higher (from 60 rupees (less than ?1) minimum) and can soar at peak times. By Hired Car and Driver: The best bet for visitors on a tight timescale would be to hire a car and driver. Several private travel agents and car rental companies in Kolkata can arrange chauffeured drives or tours with a car and driver. Ballpark cost would be around 1,000 rupees (about ?14) for eight hours, within a limit of 250 kilometers. Over this, you'd pay a further 12 rupees (less than ?1) per kilometer. The local currency is the Indian rupee, which is roughly 80 to the U.K. pound and 67 to the U.S. dollar (for current currency conversion figures, visit www.oanda.com or www.xe.com). high denomination notes are no longer legal tender. Also, you can't purchase rupees in advance, so will have to get them on arrival. 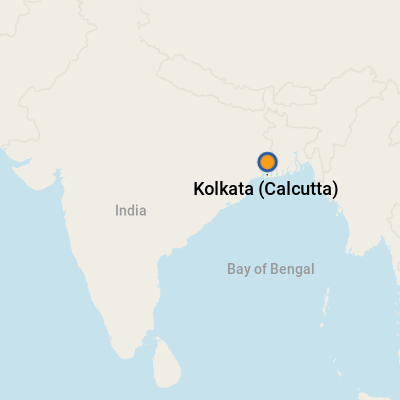 Fortunately, there are plenty of ATM machines at Kolkata's Netaji Subas Chandra Bose International Airport, as well as in downtown Kolkata (for a full list of ATMs with location and maps, check out www.bankatmlocator.in). Kolkata's most-spoken languages are Bengali and Hindi. Most people -- especially those working in tourist areas -- will also speak English. A blend of sweet and spicy, subtle and fiery, West Bengal's cuisine is as rich, colorful, varied and fascinating as its people. River fish (mach) abounds-- served with rice (bhaat) -- and is a staple of the local diet. Most popular is hilsa, a firm-fleshed, oily fish served up on special occasions; other fishy favorites include koi, pabda and rohu. Chops and cutlets -- a hangover from British rule -- also feature in the local cuisine, while veggie lovers can try offbeat options like water lily root and gourds alongside plantains, potatoes and beans. Whatever you order, your dish will be enhanced with a large dash of phoron, a blend of spices. Phorons vary according to ingredients, the most popular being panch phoron, a robust mix of fenugreek, nigella seeds, mustard seed, aniseed and cumin. To finish, try a creamy spiced yogurt called Mishti Doi, served with deep-fried Luchi bread. Leave plenty of space in your suitcase when visiting Kolkata, as its vibrant shops and street markets -- selling everything from fine silks to elaborate jewelry and intriguing artifacts -- are a sight to behold. Shopping in the city's bazaars is fascinating but can also be tiring, as you'll have to dodge persistent touts and negotiate with vendors. Most shops are open six days a week, generally between 10:30 a.m. and 8 p.m.; they're closed on Sundays. Best souvenirs include Bengali silk -- produced and handwoven on traditional wooden looms in the villages that line the banks of the Ganges and Brahmaputra rivers -- and distinctively long-necked Bankura animal sculptures made from terracotta. Jute is another major product of this region, so craft items and bags are also a good buy. And although India isn't as cheap as it once was, you can still pick up big bargains. The best sundowner if you're in old colonial mood is, of course, a classic gin and tonic (featuring Bombay Sapphire gin, naturally). But in the land of heat and dust, a large and refreshingly chilled bottle of Kingfisher beer is a better choice for washing down Indian food.